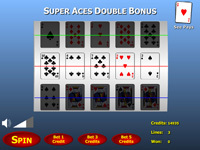 Poker Slots in an online video slot game where you can play with credits you earn by playing games on Casino Games And Slots. 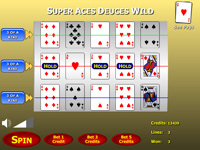 Every day you visit Casino Games And Slots, you accumulate 200 additional credits for game play. 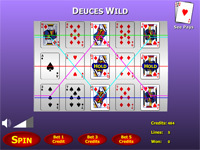 You also may win credits by playing the games on the site. 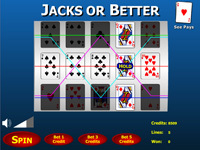 When you play Poker Slots, the default bet is 1 line and 1 credit per line. You may change this pet by pressing the "Bet 1" or "Bet 5" button. The "Bet 1" button adds 1 credit per line to your bet, unless you are betting 5 credits, in which case your bet is reset to 1 credit per line. 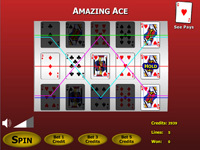 You may bet on up to 10 lines when you play. 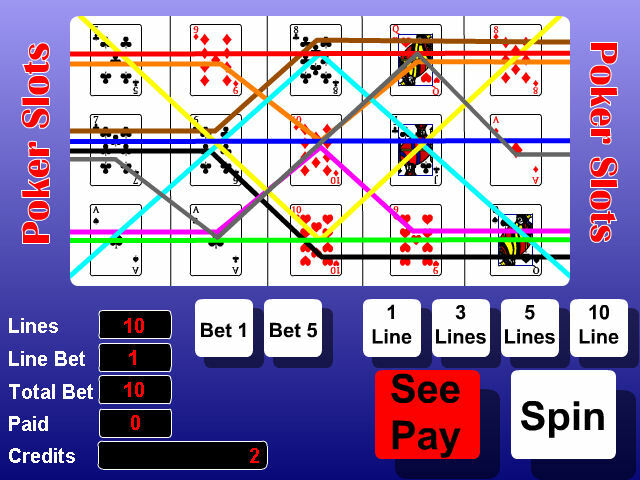 Each line is it's own bet and your total bet is a multiple of the number of line you bet on and the bet per line. This total amount bet is listed in the "Total Bet" window. 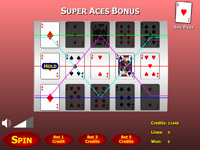 For each line you bet on, you must get a hand with a minimum of a low pair to win any credits. To see the pay table, you can click the "See Pay" button in the game. 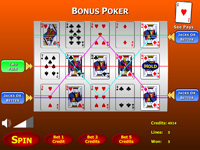 This will take you to a pay screen that tells you exactly what hands pay out a given number of credits. 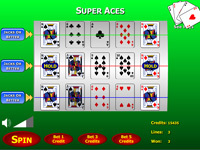 Once you have selected your bet, you can play by clicking the "Spin" button.